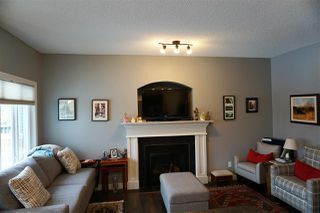 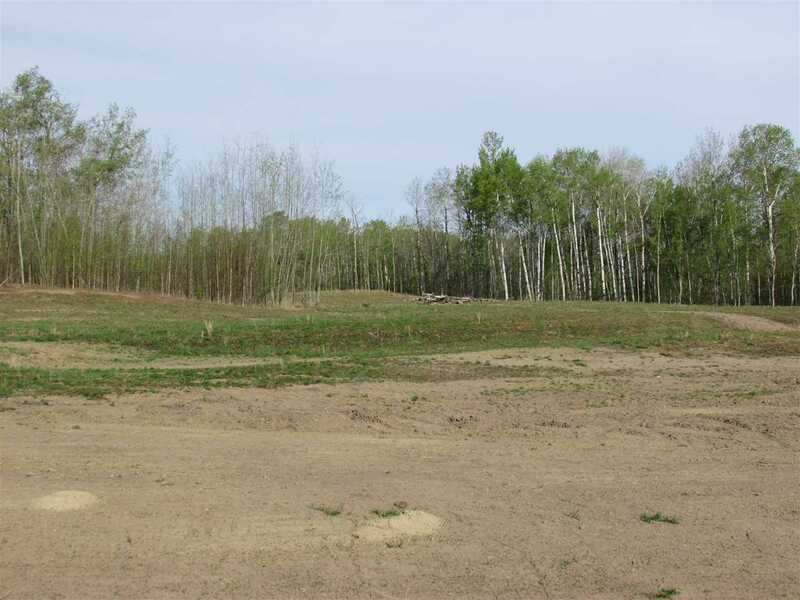 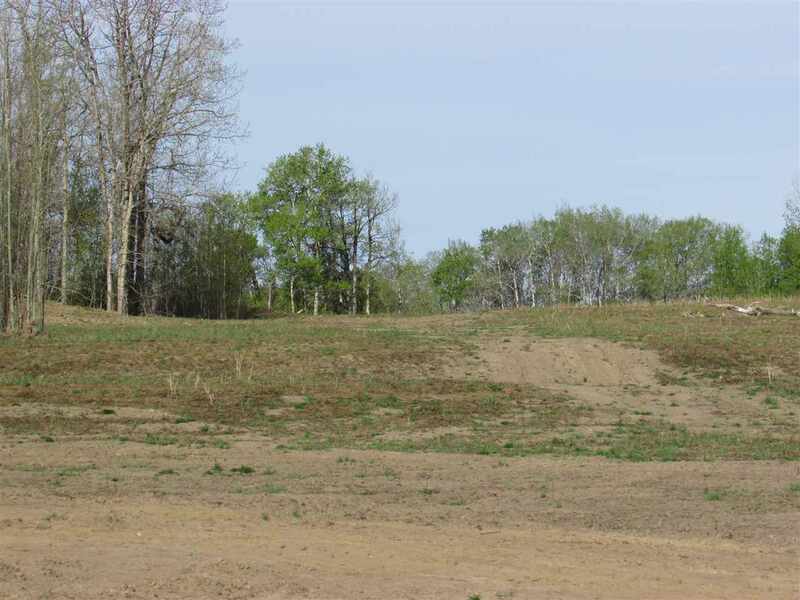 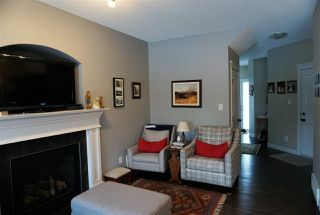 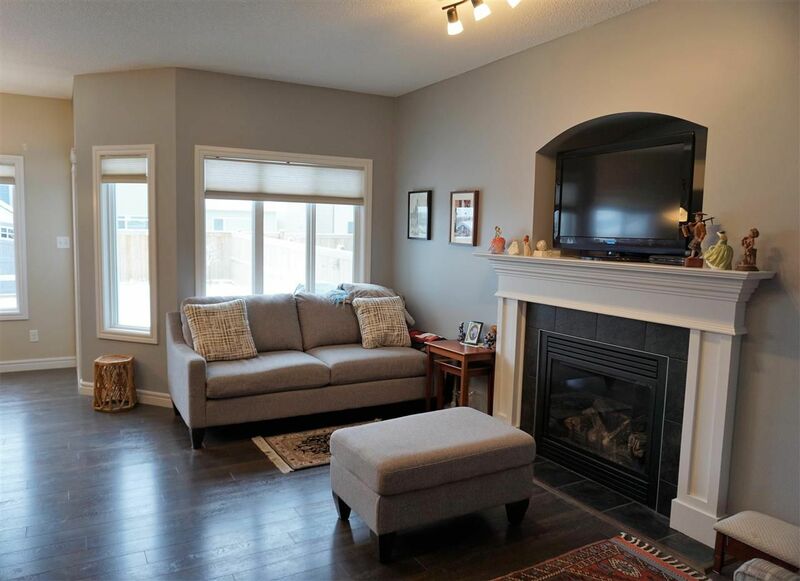 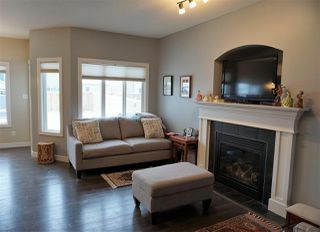 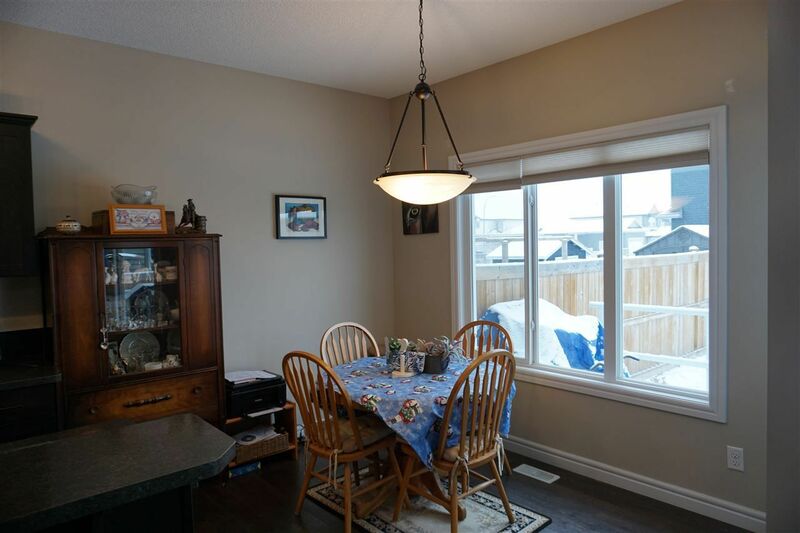 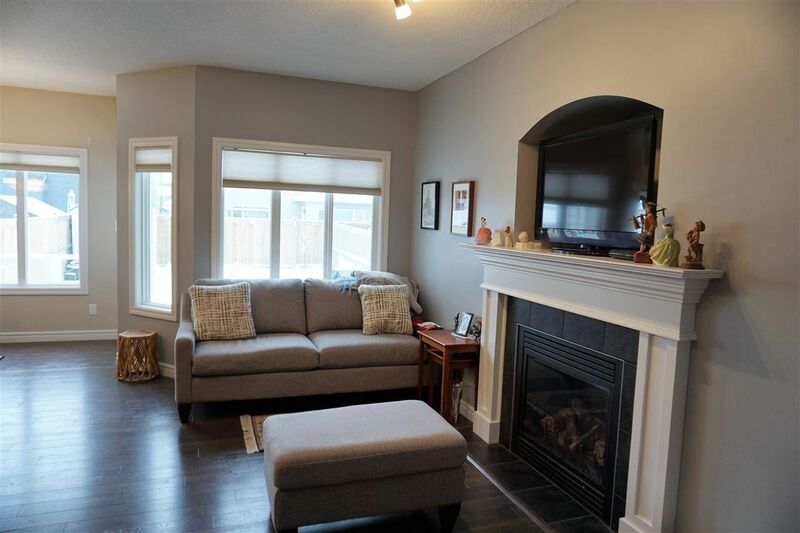 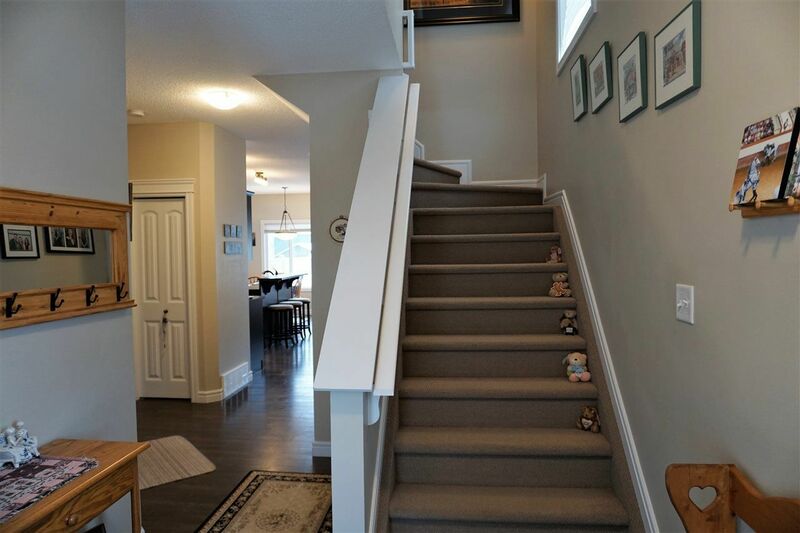 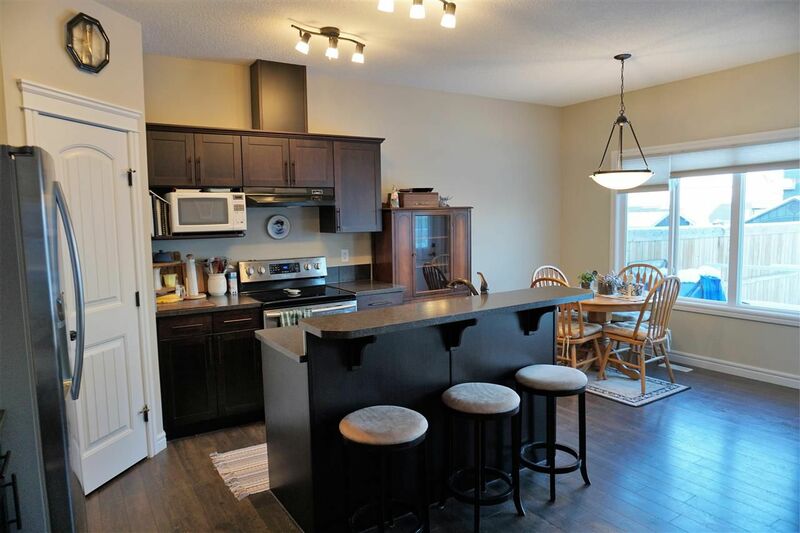 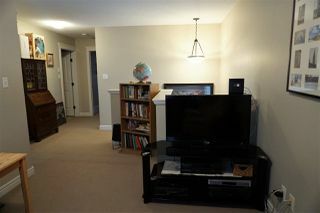 Warm & inviting 2 storey in the growing community of South Creek, Stony Plain. 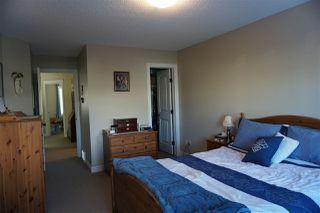 Offering over 1,450 sq.ft. 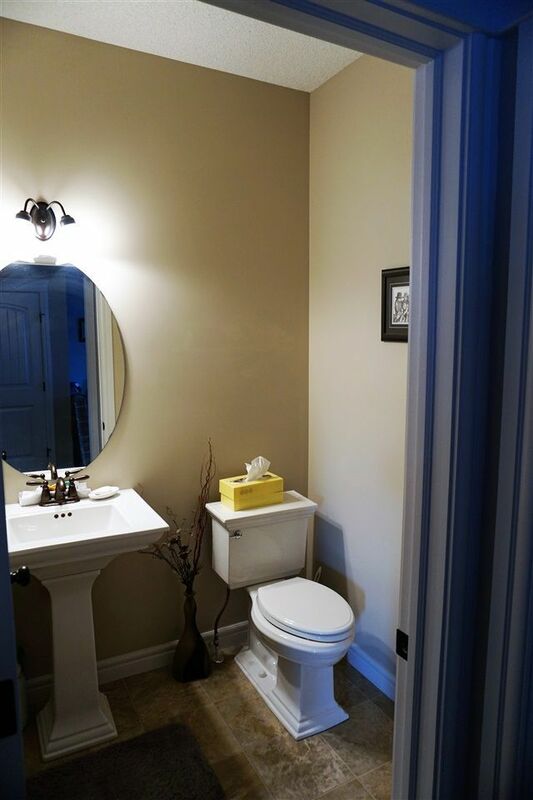 and a floor plan that will wow you from the moment you enter the home! 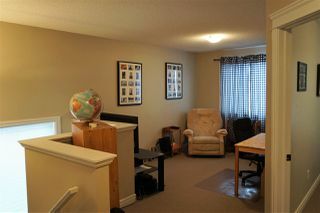 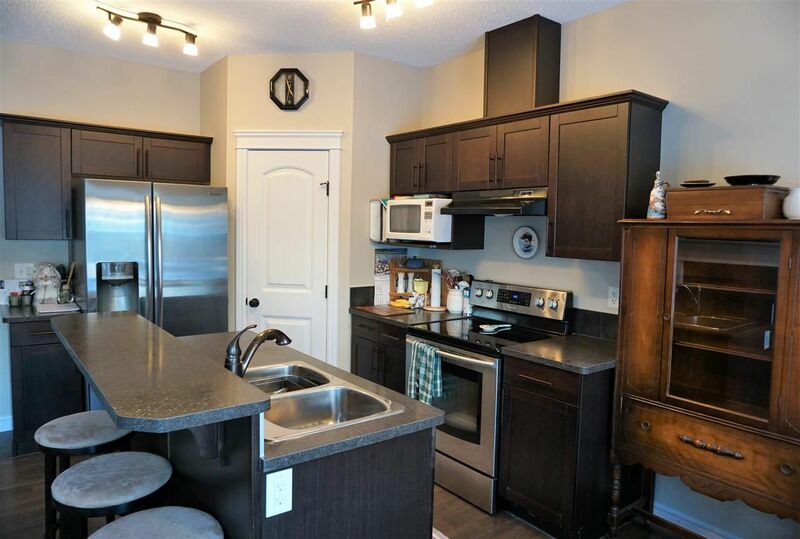 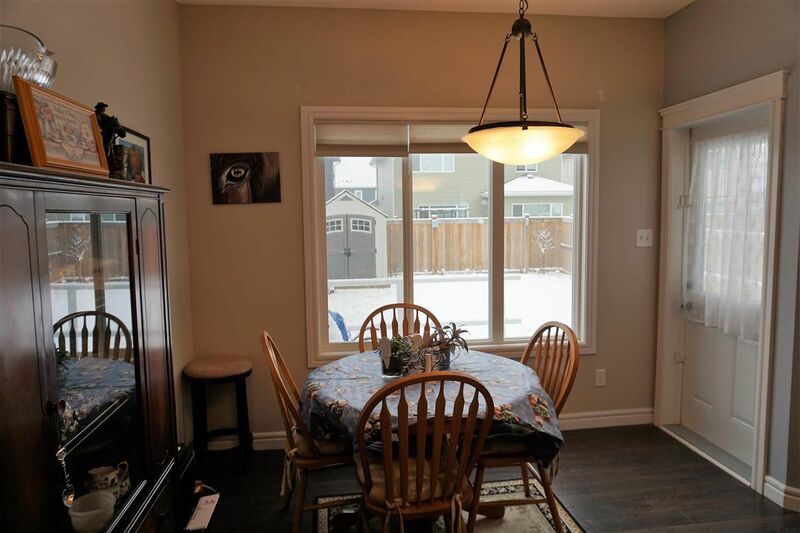 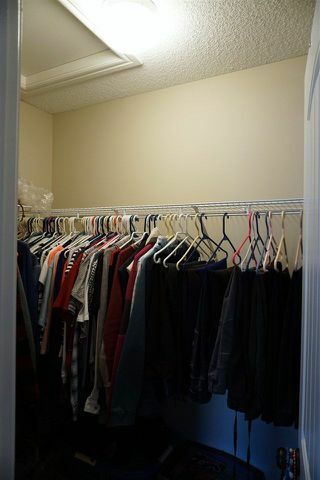 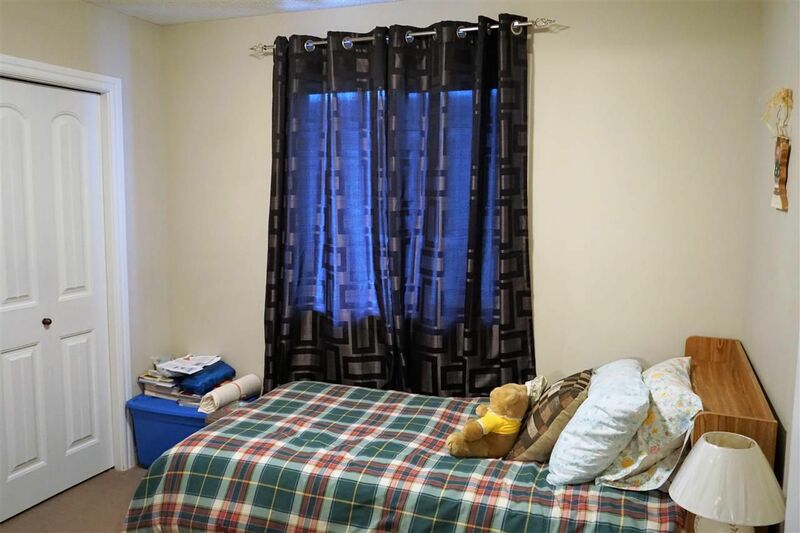 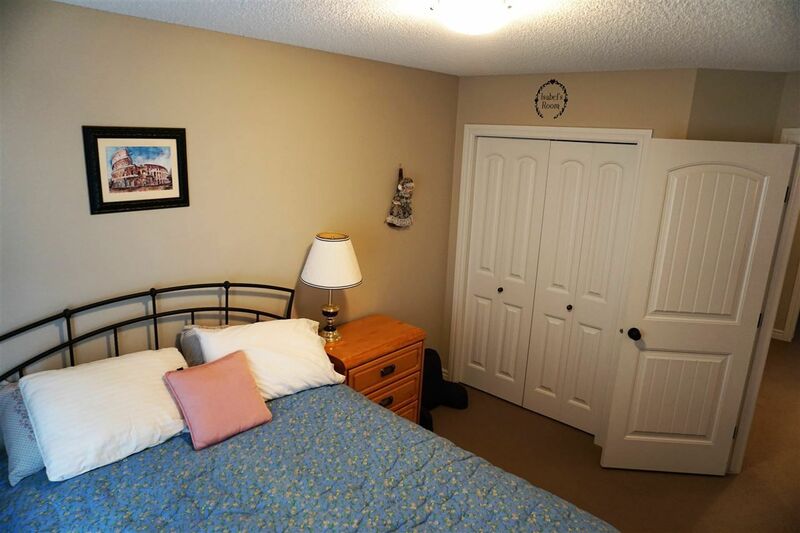 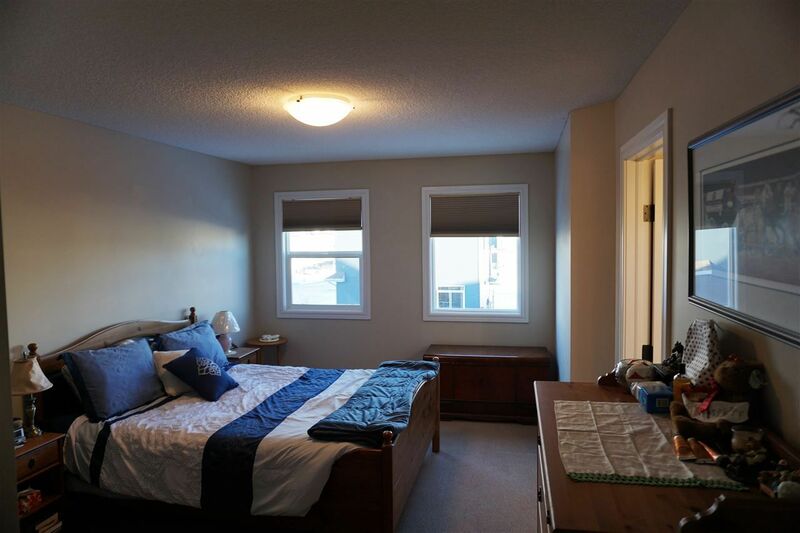 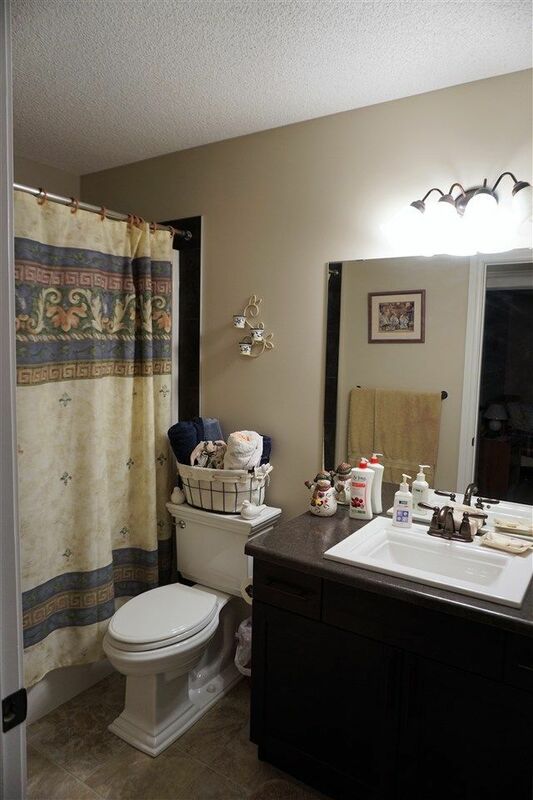 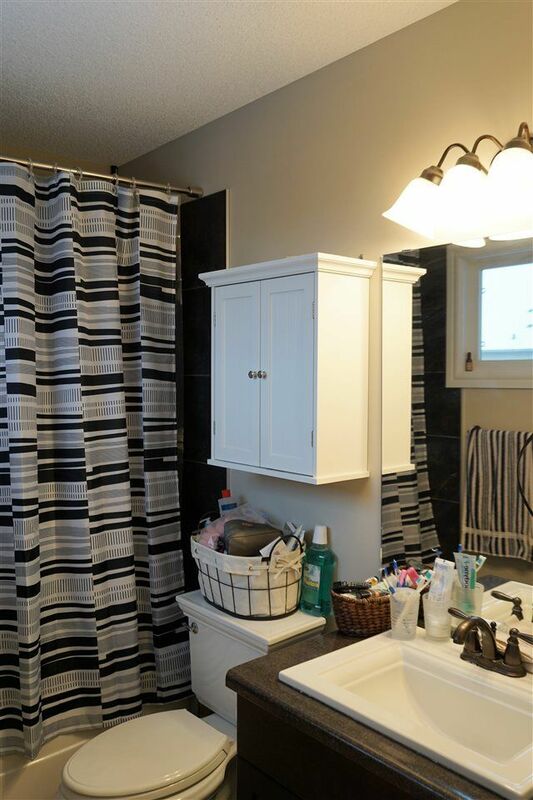 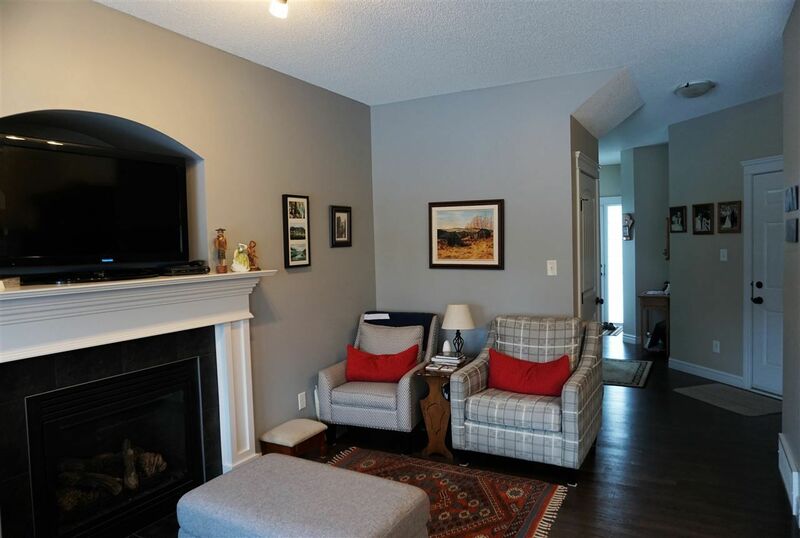 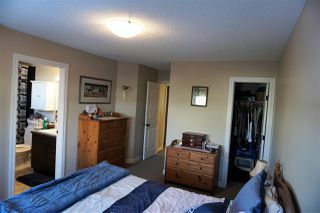 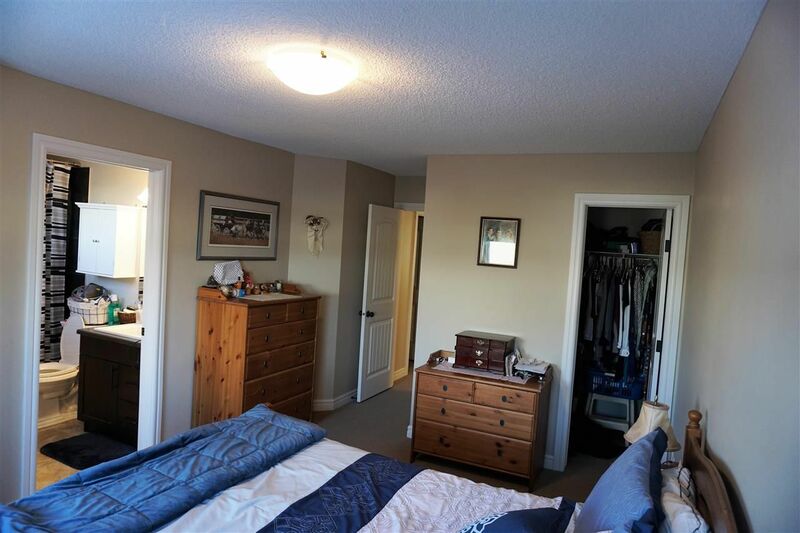 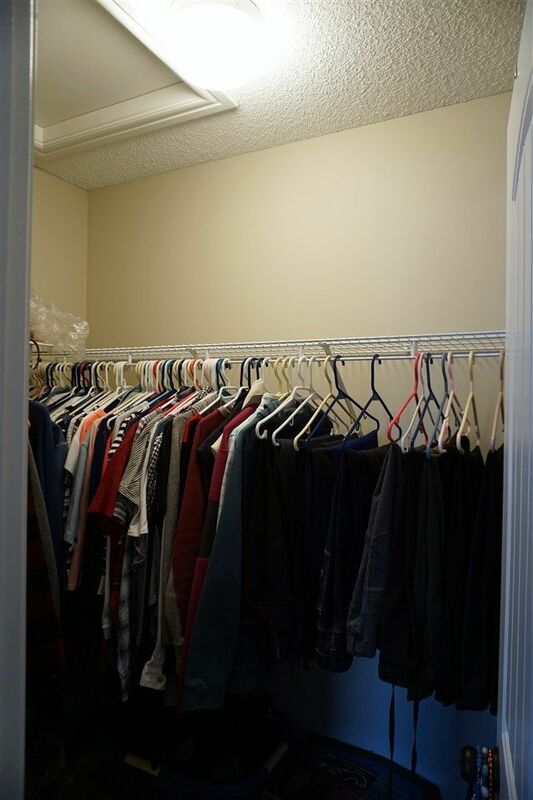 This duplex has been a no smoking and no animal home that has been meticulously maintained. 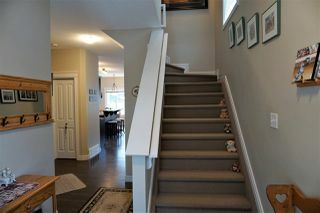 Well chosen wide plank laminate and tile flooring through the main level. 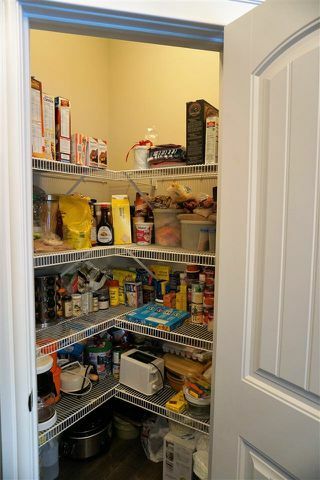 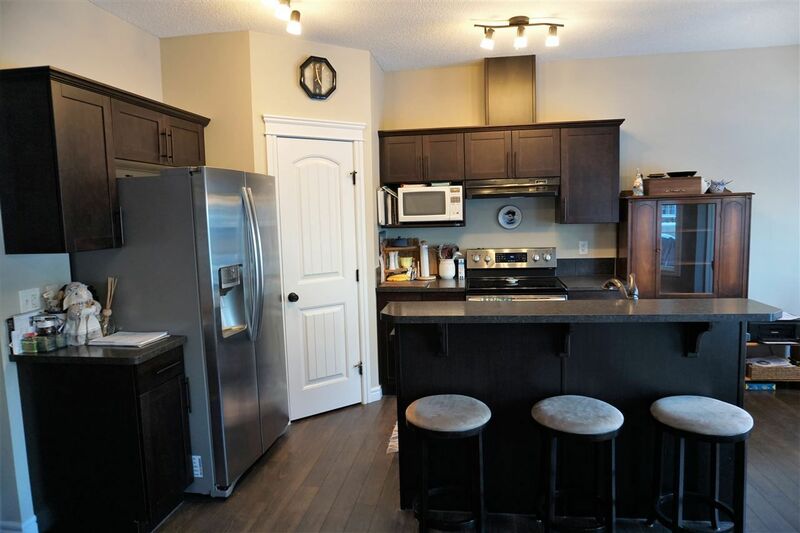 Featuring an open concept great room with a stunning gas fireplace, convenient main floor 2pc bathroom, kitchen boasting dark chestnut cabinetry, a large island with raised eating bar, spacious corner pantry, S/S appliances and a bright dining area with access to the back extended deck. The upper level boasts 3 bedrooms and bonus area with a large master suite complete with a 4-piece ensuite & walk-in closet. 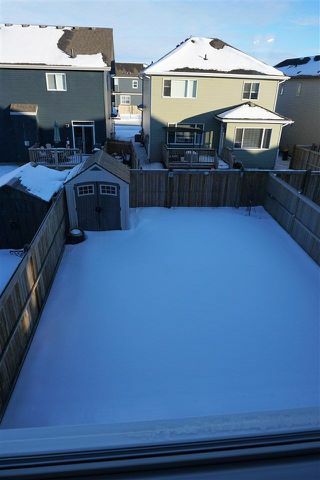 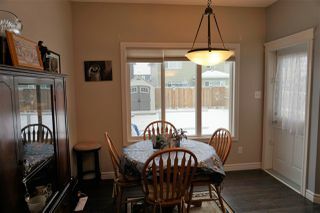 This home is complete with a single attached garage with shelving installed, fully fenced and landscaped yard with shed. 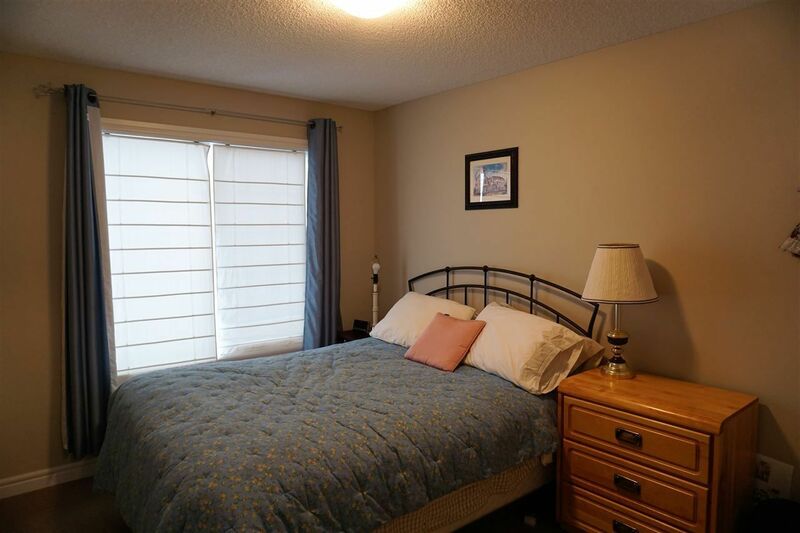 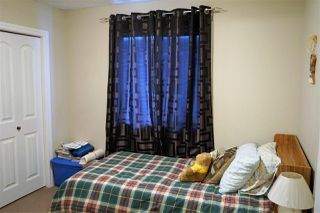 Located close to parks, schools, & shopping.